God used Familise’s (Mme. Brunel) story in a pivotal way to encourage Esther to seek to bring hope to helpless single Haitian mothers. Esther followed God’s lead and eventually opened Shop Ministere Dorcas through Mission to Haiti. Familise has been working full-time for a missionary who takes in orphans, but has recently been bleeding and has become very weak. It was discovered that she has a tumor and is in need of surgery. Please pray for Familise and her children. 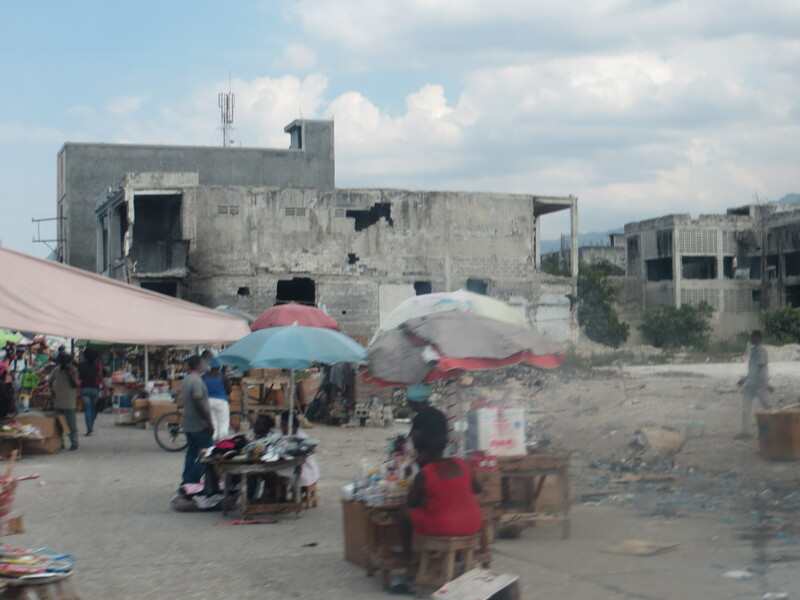 It was my experience with a Haitian woman after the quake that was a turning point,” said Esther. Familise is a young mother Esther started helping in 2009, but it was seeing the woman near death in 2011 that changed Esther’s focus from simply opening a store to finding a tangible way to help single Haitian women become self-sufficient. For Familise and her four young children, including infant twins, every day was a struggle for survival after her husband was attacked and killed and his truck stolen in 2008. 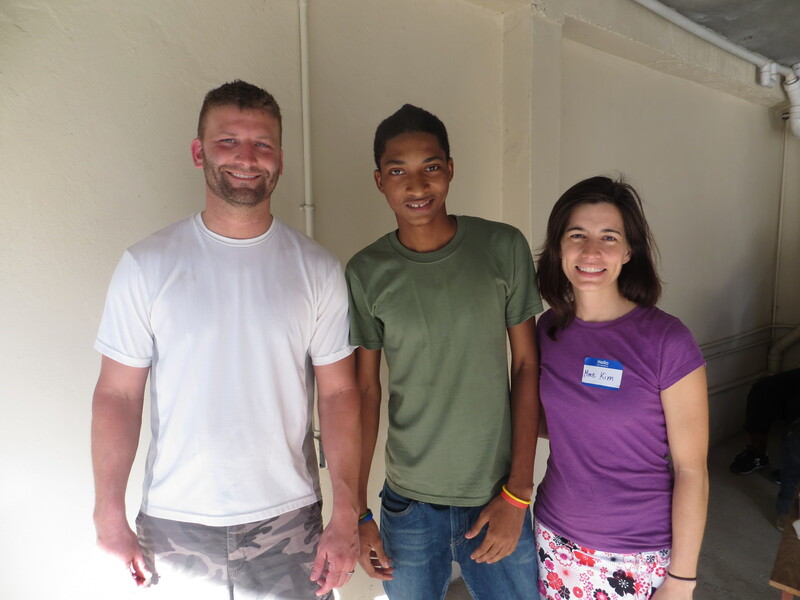 “We (Mission to Haiti) began giving her beans and rice and clothes and tried to help. And I had medical teams check on the babies and give them milk. But you know, it was an afterthought,” Esther remembers. When Esther became involved in a traditional Haitian wedding, her eyes were not only opened to a new cultural experience, but to a business opportunity that would benefit Haitian brides and employ destitute Haitian women. Then in May of 2011, Familise got seriously ill. “We sent a nurse who found her near death,” said Esther. It was over the course of Familise’s three-week hospital stay and five blood transfusions that God broke Esther’s heart for the many Haitian mothers who could easily suffer the same fate or become one of the many who turn to prostitution simply to put food on the table. But Familise refused to become a prostitution statistic, and her testimony became Esther’s catalyst to turn her desire to help into a thriving business. “Familise shared with her church that (even in the worst of circumstances) she just trusted the Lord, and the Lord was faithful. Learning that was a turning point for me. I knew I needed to go the next step,” Esther said. But she wasn’t sure what that would look like. I am thrilled to have had the opportunity to write part of the 500 Dresses story for Fullfill magazine. There are about a million stories I would love to tell about how God has shown himself to me since my mom and I started sewing dresses for Haiti. But that would make for a super-duper long magazine article. 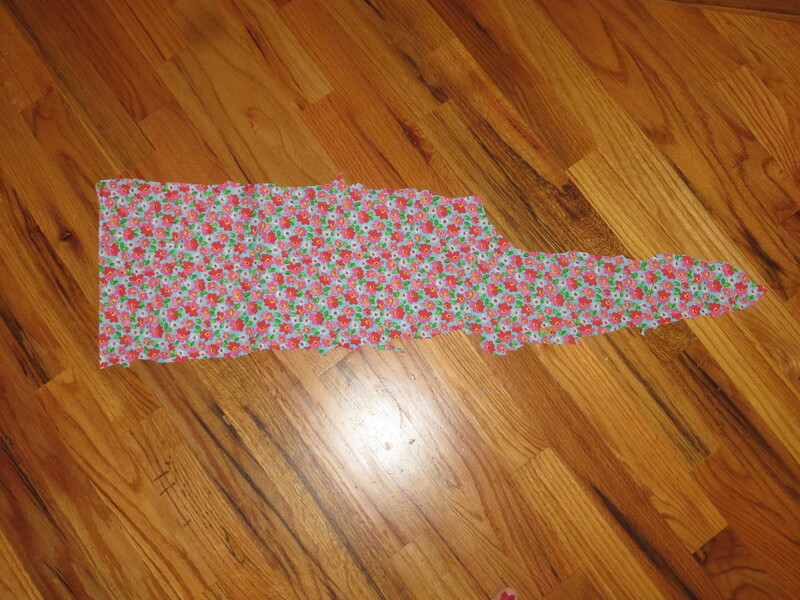 Or about how the men from my Sunday School class sewed right alongside the women. 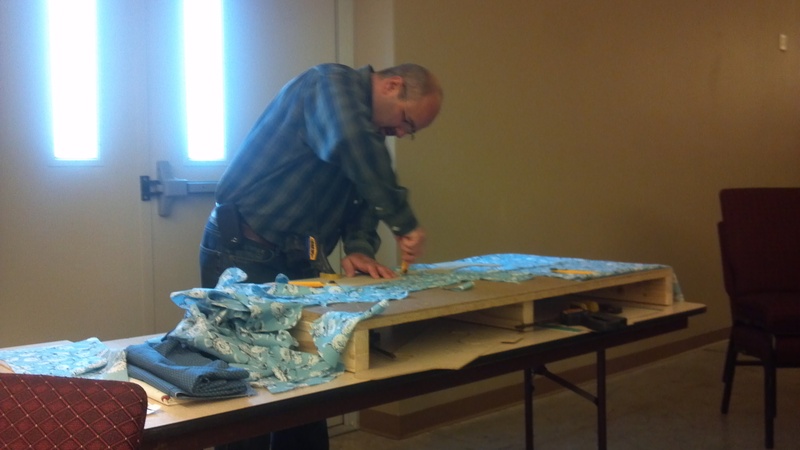 Or how Corey designed wooden patterns that we clamp down and cut with rotary cutters to speed production. Or how we receive checks, sometimes from people we don’t even know. And how they seem to arrive at just the right time so that mom and I have hardly had to put a cent of our own money into this endeavor. 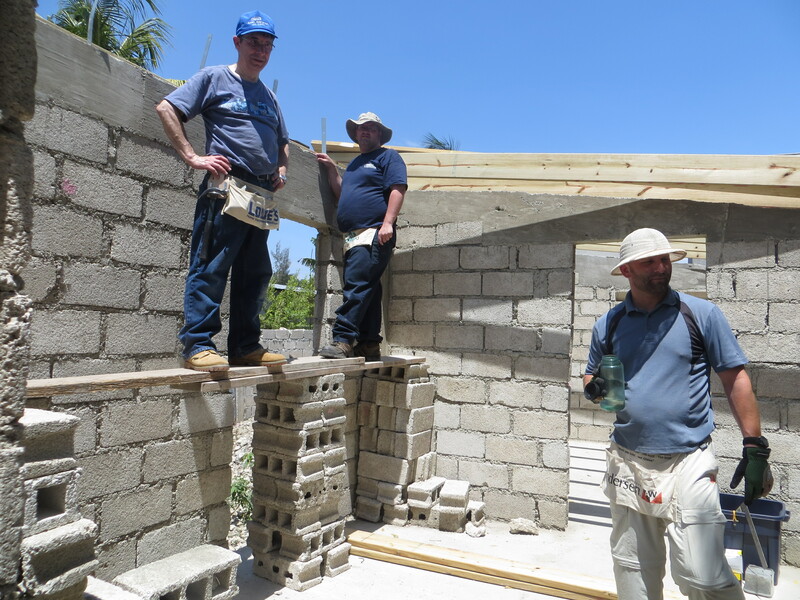 Or how everything fell into place perfectly for our trip to Haiti. Or how our giant duffle was lost in transit and when we got it back there was a hole in it and nails were falling out as Corey wheeled it through the airport. Or how I got to hang out with the Haitian interpreters and left the country with such a strong sense of how much they are just like you and me; only without our monetary resources. 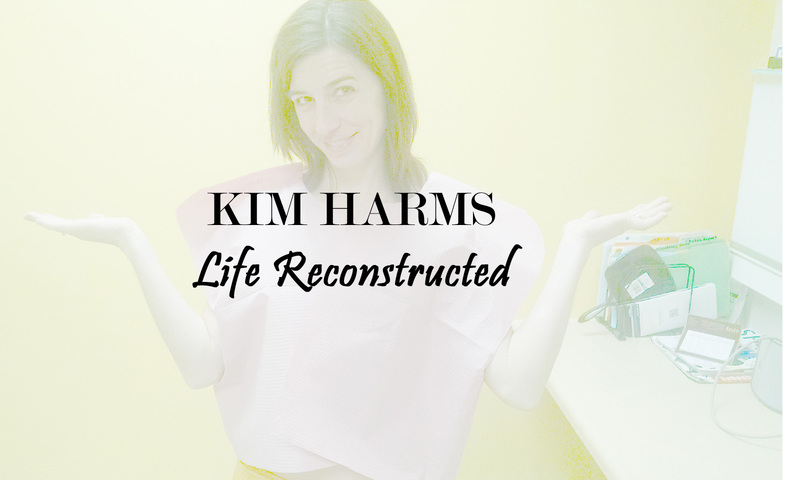 Or how I felt so very much like I was right where I was supposed to be as I sweated with a bunch of American and Haitian women over sewing machines and fabric and scissors and needles. I could go on and on and on and on. But I’ll spare you…for now. 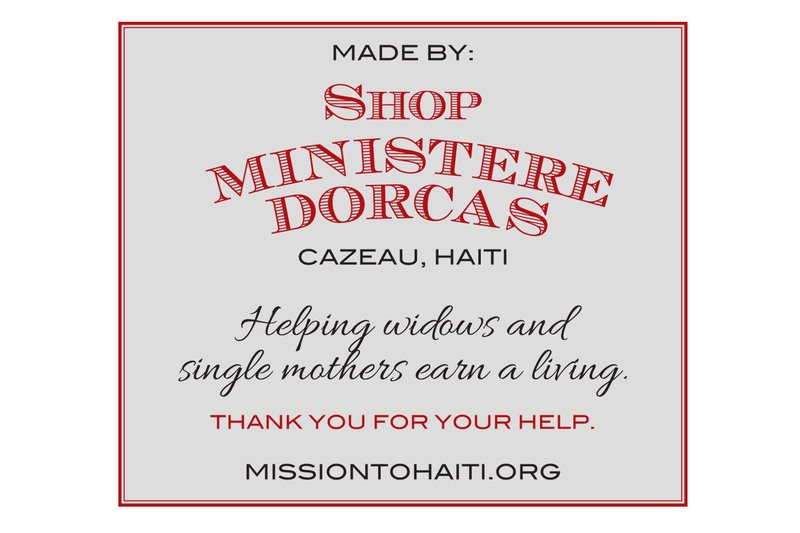 I am excited to announce a new opportunity that will benefit Shop Ministere Dorcas. Esther just sent me this label that will be going on accessories made by the Dorcas Ministry Shop ladies. 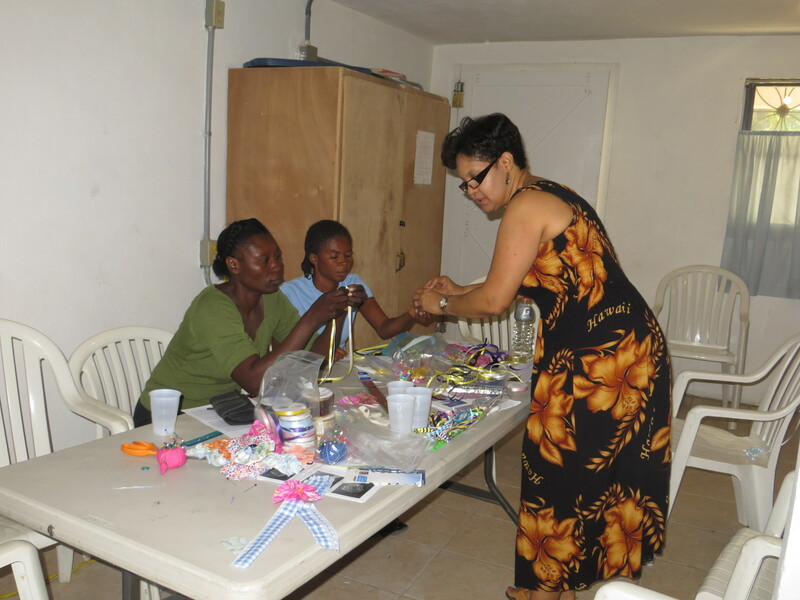 She is in Haiti this month working with the women and will return to the states with product to sell to people like you. With proceeds going to Shop Ministere Dorcas employees, it will be a simple, fun way to give and to receive at the same time. I’ll keep you posted as I receive more details. 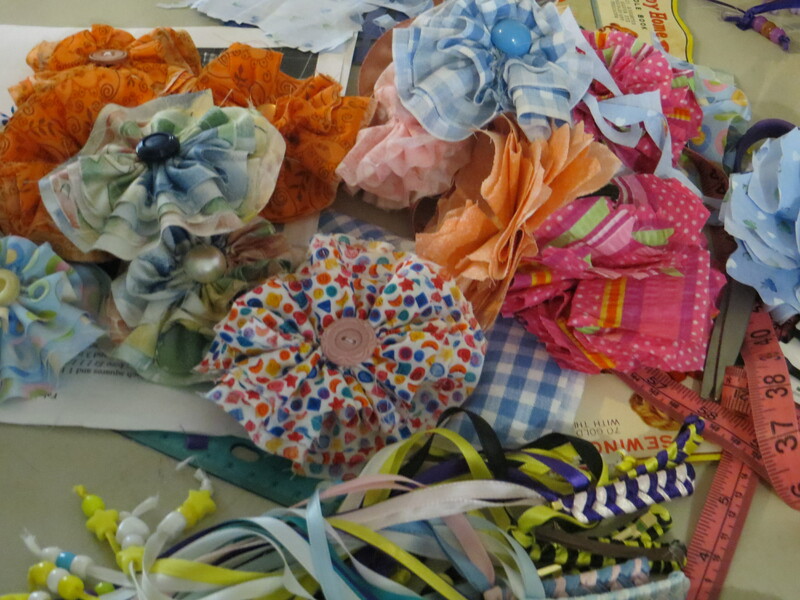 These are some of the crafty things we taught the ladies to make on our April trip. If I have spent any time at all gushing talking to you about our trip to Haiti in April, you’ve probably heard me mention Jean Jacques. When I was 21, I tagged along on a mission trip with a friend from college. While there, I saw a photo of this cute little guy and decided to become his sponsor. 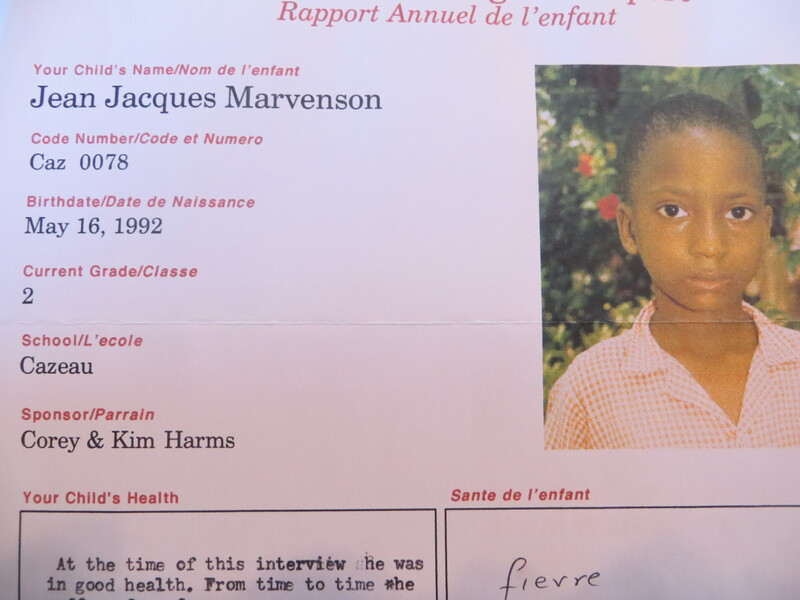 For the next dozen years or so, Corey and I sponsored Jean Jacques. We received regular photos and letters and watched as he grew from a little guy to a young adult. He graduated a couple years prior to our April trip to Haiti, so we lost contact. But when we were on the Mission to Haiti campus, I asked the Haitian employees if they happened to know anything about Jean Jacques. They not only knew where he lived, they offered to go get him so Corey and I could connect with him again. That was pretty sweet. But even sweeter was that while talking to Jean Jacques, Corey realized he had been working with his dad all week. A lucky coincidence? I don’t think so! I could never have imagined so many years ago on that college trip to Haiti that my future husband (Corey and I hadn’t even started dating yet) would eventually travel to Haiti with me and work construction with this little boy’s dad. That definitely made my world feel small and my God feel big. God has blessed me over and over through child sponsorship, and now he is also blessing Carter and Owen as they have a direct connection to the two boys we currently sponsor. I hope they will one day meet Lucson and Pierre. But in the meantime, my boys’ eyes are opened to a world so different from the one they live in, and their hearts are opened to these two boys who are so different from them yet so much the same. Thinking about sponsoring a child? Click the link on the sidebar. You won’t regret it.